Veeqo has an open API that allows developers build applications that integrate with Veeqo by reading and updating the information that is stored in Veeqo. What is the Veeqo API? This document is going to give a brief high-level overview of the Veeqo API, what it does and how it works. The main Veeqo application uses the same systems as are available to the API, so you can do almost everything you can do in the Veeqo app via the API. API stands for Application Programming Interface. In its most basic form, an API allows communication between two different software components. What does the Veeqo API do? The Veeqo API allows the majority of the information in your account updated by a third party application. There is still some information that can only be updated through the Veeqo app UI for security purposes. 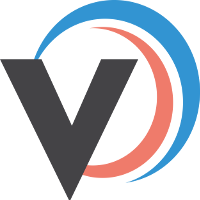 This is great for building new extensions and integrations on top of Veeqo such as new store / marketplace channels, accounting software and 3rd party warehouse software. You can see examples of what can be built with the Veeqo API on our Marketplace. The Veeqo API is a RESTful API. A RESTful API user the HTTP verbs; GET, PUT, POST and DELETE to alter data. The Veeqo API uses JSON requests and responses. For example if you send a GET request to api.veeqo.com/orders you would get all of the orders in your account. Where as a GET request to api.veeqo.com/orders/:OrderID, you would only get that specific order. This same principle is applied to most of the other objects in Veeqo, such as products, customers and warehouses. We’re working hard here at Veeqo to grow a thriving developer ecosystem and to make building integrations with Veeqo as enjoyable and as rewarding as possible. This developer ecosystem is made up of lots of different parts, the core of which is a new and improved Developer Central which provides quick links to all of our other resources. We have a new Developer Forum for any queries you might have about using our API. This fledgling community is going to grow over the coming weeks and months. The forum is the hub for developer support and will build a working knowledge base of all the intricacies and FAQs that you’re likely to come across during development. We of course have our API Docs, which are being continually updated and improved to ensure that they are even more comprehensive and helpful. Then, we have our app Marketplace, which allows developers to list their app or integration and advertise it to all of our users. Finally we have a partnerships page that talks about all the benefits partnering with Veeqo.